Seton's Blank Safety Tags are backed by our 100% Satisfaction Guarantee! Select from a wide variety of Blank Safety Tags at competitive prices. Plus most of our top-quality Blank Safety Tags are in stock and ready to ship today. Customize your tags to include safety message to the front and back. Custom lockout tags let you include your own safety message. 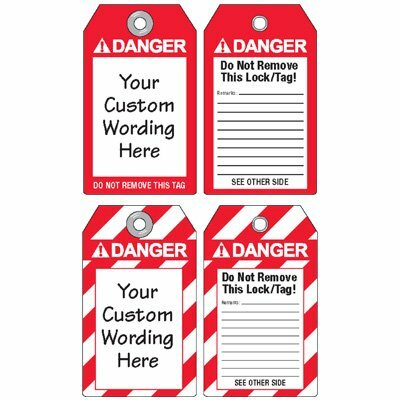 Custom-worded self-fastening tags make your safety procedures more specific and effective. Customizable plastic seal tags ideal for warehouse use. Semi-custom heavy duty plastic tags allow you to add specific wording for a more effective tag.